Delboy has been a fixture in the seconds' defence since making his debut in August 2013, as well as being a a committee member at the club for a long period. The Cockney Gaeilgeoir is rock solid in the air and on the ground, and is a fine crosser of the ball with either foot. He was a member of the squad that won the club’s first ever silverware, the 2014 Arthur Lynch Cup. He enjoyed a superb season in 2015/16, winning the Second Team Player of the Year award, whilst also scoring his first (and last) ever Seaford goal with a close-range finish against Hyde Park in the Deane Cup. He also earned his first call-ups to the first team reckoning, culminating in a fine display in the late-season away win at Clontarf. 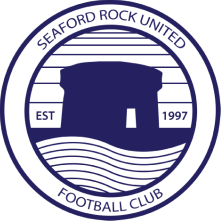 He made his 100th Seaford appearance towards the end of the 2017./18 season in a home win over Knockmitten United, before hanging up his boots at the end of another fine campaign at the heart of the seconds' defence.